The short course includes a ¼ mile swim that travels just past the end of the pier (12 ft. depth), turns left and heads towards the boat launch. The bike and run courses for this event are extremely flat and “first-timer friendly.” The bike course travels down Bay Shore Drive (County Highway B) to Old Stone Quarry Park before turning back. The run course travels up and back on Egg Harbor Road (County Highway G). Awards (Olympic-style medals with sewn ribbons) are provided to the top three finishers in each age group division and relay team division. The top three overall male and female individual finishers also receive engraved crystal lighthouses to commemorate their achievement. Participants may receive both an overall award and an age group award unless they choose to start in wave one (“elite wave”), in which case they are ineligible per USA Triathlon rules. The event offers no prize money. Parking on race day will be available at Horseshoe Bay Farms across from Murphy Park and just north of Horseshoe Bay Road on County Highway G (Egg Harbor Road). Signs and volunteers will direct the participants and volunteers. Teams will receive one timing chip corresponding to your bib number. The timing chip is your “baton.” It must be handed off between teammates in order for your time to be recorded. The timing chip must be worn ON THE ANKLE—not the wrist—at all times or the timing mats will not register your presence. Your assigned location IN THE TRANSITION AREA is the hand-off point. All members of the team may enter this area but they must be body marked or wear a bib number and/or helmet sticker. When waiting in the Transition Area, stay out of the way of other competitors. All members of the relay team may enter the FINISH AREA to receive their medals or have a group photo taken. Again, they must be body marked or wear a bib number and/or helmet sticker to enter. 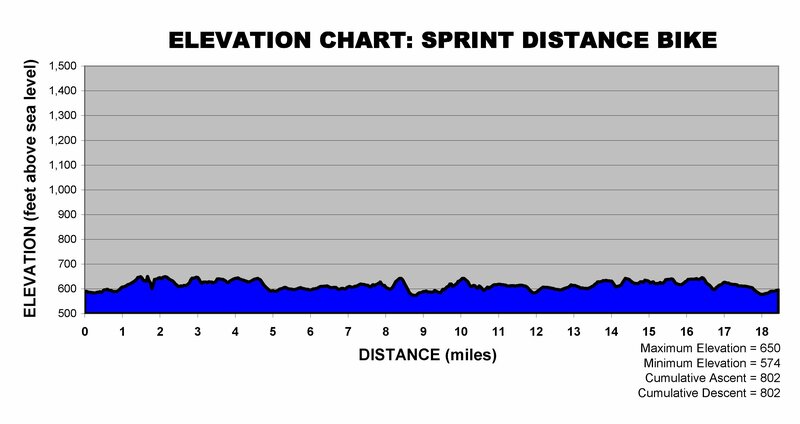 Select a split below to view more details about that aspect of the race. *Note: If a relay team is anchored by a swimmer who is also competing as an individual, that team must begin in the wave of the individual’s age/gender bracket or the individual will be disqualified. The swim waves will be spaced a minimum of three minutes apart, per USA Triathlon guidelines. With 1,000 competitors, all swim waves will be sent off in less than one hour. The Sprint Distance swim waves will begin at 8:00 am. Wave assignments, sizes and anticipated start times will be posted to the event website in early July. The swim start is on the beach at Frank Murphy park, across from the pavilion and adjacent to the cement pier. All swimmers are REQUIRED to wear a swim cap provided by the event organizers. All participants MUST report to the swim start area 15 minutes prior to their scheduled wave start. LARGE TRIANGULAR ORANGE buoys mark the turns for the swimmers. There will be more than 20 YMCA lifeguards trained in open water rescue assigned along the swim course route. Lifeguards and members of the local Sheriff’s department will be in rowboats, paddleboards, pontoon boats, personal water craft, and swimming freely. DNR boats and/or Coast Guard cutters will be stationed on the outside perimeter of the course to keep recreational watercraft away. Swimmers exit the water via the boat launch ramp which will be carpeted. Volunteers on the ramp will assist with wetsuit removal. Only participants and volunteers will be permitted in the transition area. Bikes MUST BE WALKED in the transition area. Mount/Dismount Zones are located just outside the transition area. When removing your bike from the transition area after finishing, please stay out of the way of participants who are still “on the clock”. The bike course follows the shoreline along Bay Shore Drive for nine miles and turns around at Old Stone Quarry Park. The entire short course bike route is closed to traffic. The road surface is asphalt, much of it recently paved. The bike course includes one aid station. Course marshals and public safety officers are stationed throughout the course and at all turns. All bikes are required to display a bike number. BIKE COURSE FLUIDS: Fluids will be available at the start and on the course at the turnaround (mile 9). Sports-capped 20-ounce water bottles and 20-ounce Gatorade Endurance Formula (lemon-lime flavor) will be handed out at both locations. These bottles will ride comfortably in bike cages. Participants are welcome to supply their own bike bottle and fluids if they so choose. ON COURSE BIKE SUPPORT: Local bike shop In Competition (Green Bay) will provide on-course bike support. COURSE MARSHALS: Course marshals and public safety officers are stationed throughout the course and at all turns. Drafting (following within approximately three bike lengths on the rear wheel of a participant in front of you) is prohibited. Draft marshals on motorcycles will patrol the course for violations. Participants caught drafting will be assessed penalties to their bike finish time. The short course run route leaves Murphy Park heading north on County Highway G (Egg Harbor Road). The run heads north on Egg Harbor Road for approximately 1.55 miles before turning around. 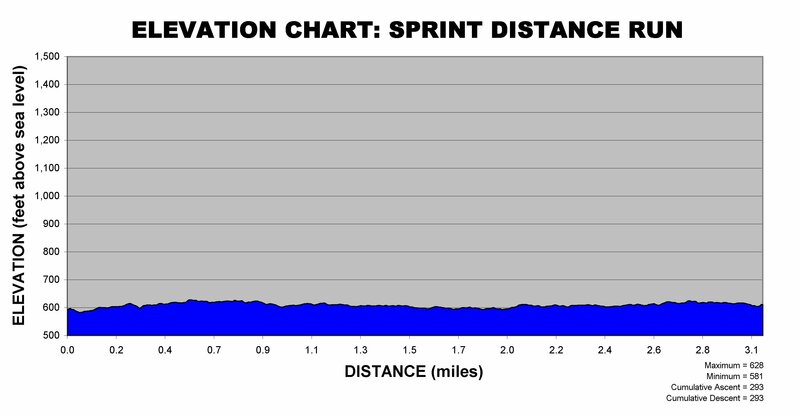 The run course is very flat since it is out and back on the shoreline road with no hills. Fluid replacement (water and Gatorade) will be available at the turn around and at the start and finish areas. The finish area is located in front of the Murphy Park pavilion. Water, Gatorade, fresh fruit along with a pig & corn roast will be provided. Volunteers will assist in removing timing chips. Every finisher receives a medal. Door County Triathlon currently offers no prize money.